Madyson was born with a hole in her heart and had open heart surgery when she was just 5 ½ months old. For three days after the surgery her parents thought Madyson was going to die because of swelling in her chest cavity that was putting pressure on her heart. 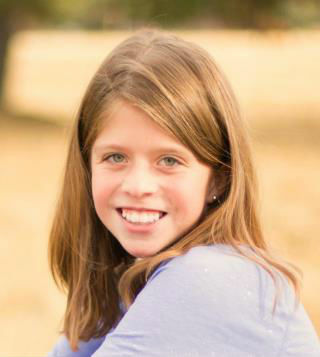 Maddy needs to have another open-heart surgery to fix her pulmonary valve. Currently, she has a 52% backwash in her valve which doesn’t allow her to push much blood into her lungs and into her body. Maddy has had numerous tests since October. She has had to wear different heart monitors and is currently wearing another monitor until her surgery. These are band-aid fixes as Maddy will need more surgeries in the future. The valves that are placed in her heart will eventually be calcified naturally and must be replaced in the future. Her parents are hoping this surgery will allow her up to 10 years without another surgery. She will be a candidate for two more catheter type surgeries before needing open heart surgery again. Although Maddy has endured through many tough circumstances, she doesn’t let that get her down. She is a happy, smart young lady that loves books and reading… also technology, video games and especially computer coding. She loves animals and does 4-H with her goats and chickens. And she really loves her dog, Cody. Sparrow Cash raised for Maddy will help with her surgery expenses, travel to her doctors in Portland, and everyday living expenses. Students at Trinity Lutheran School will “earn” Sparrow Cash by completing a minimum of 256 hours of sponsored community service.